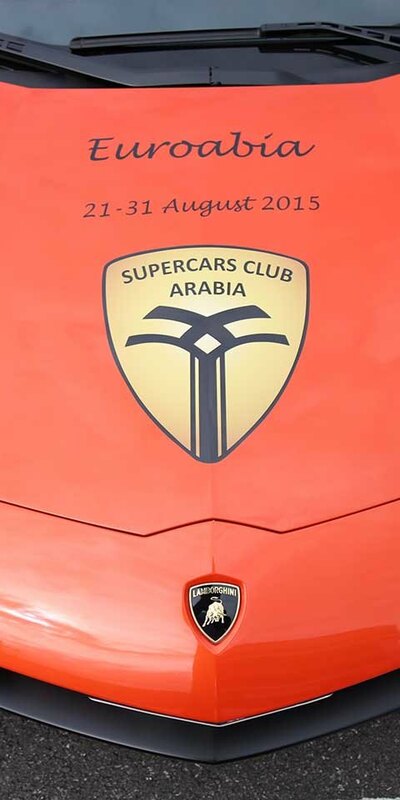 Our client; Supercars Club Arabia approached MGN events for live event support with their launch and closing ceremony of their tour across Europe, called ‘Euroabia’ which started and finished in London. The tour included 18 Supercars being driven across Europe by a team of Supercar enthusiasts, therefore required an opening and closing ceremony to match their brand and drivers. 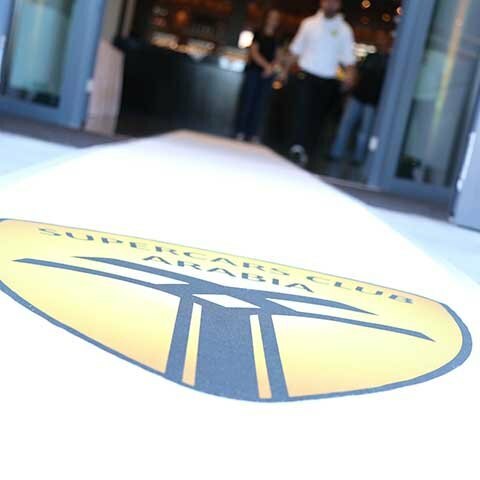 One of the key requirements was to find a suitable venue for the launch party; what better place to recommend for a motor themed event than Brooklands in Weybridge, Surrey – the home of racing! Our client loved the idea so we managed the negotiations and secured the venue – including special stipulations – such as secure parking for 18 supercars! Our team provided complete event management for the launch and closing events including hostesses and branded merchandise, whilst our designers got to work on the branding and production concept. 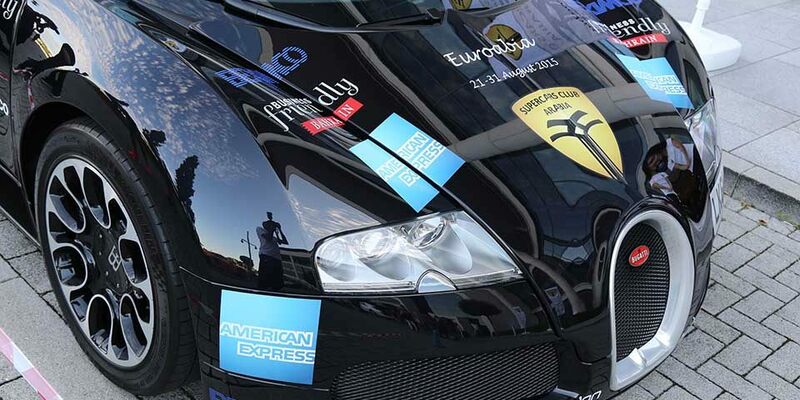 The launch event was the official kick off for the event and involved registration for the drivers and their teams and selected sponsors – Their brand’s reputation had to be upheld with a stunning five-star event.